All I need to do now is figure out how to save these screen layouts in the Logbook so I can restore them when I restart! 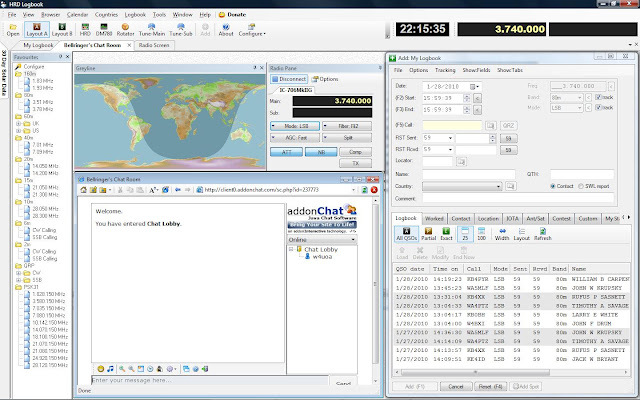 This layout allows fast frequency and band changes using Favorites; Gray Line Review; Chat Room; Rig Control; and Logbook adds. Window's sees these as one program. You can then open other Win programs, e.g. I.E. and tab between this "collection" and other programs.